Skenfrith Castle is the only low-lying fortress of the three castles of Skenfrith, Grosmont and White Castle, now known as the castles of the Trilateral. 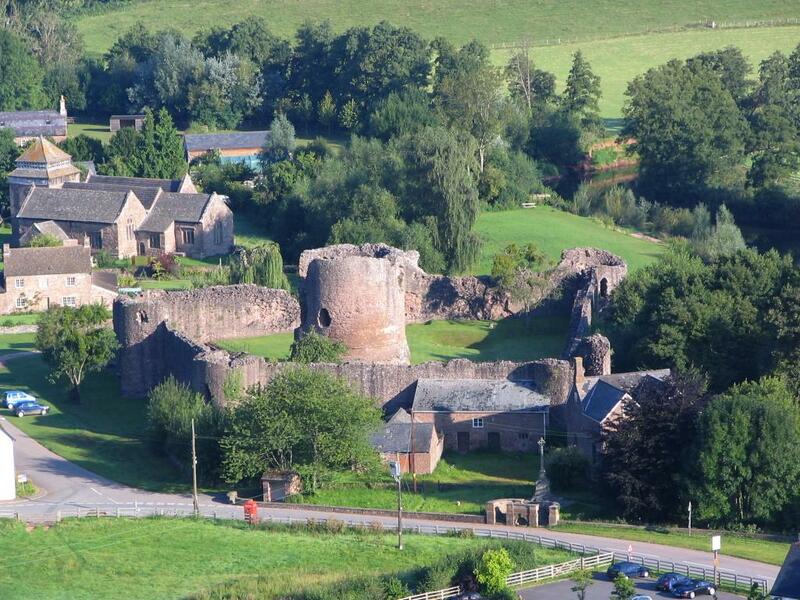 Like the other two castles Skenfrith is remarkably well-preserved, standing mostly to wall walk height. 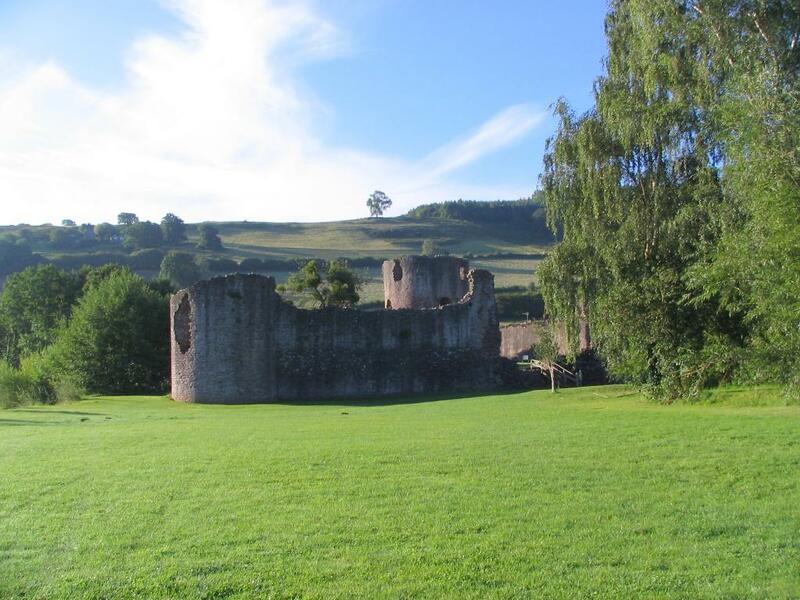 Again we have no early reference as to the foundation of the fortress, though a castle certainly existed here by 1160 when it came into the king’s hands with Grosmont and White Castle. In 1187 the engineer Ralph Grosmont was instructed by King Henry II to rebuild the castle in stone. The eastern wall and possibly north-eastern tower of the castle, built in a totally different style to the rest of the fortress, was constructed by Ralph. However this work proved abortive and Henry II cancelled the building work in 1188 as unnecessary. 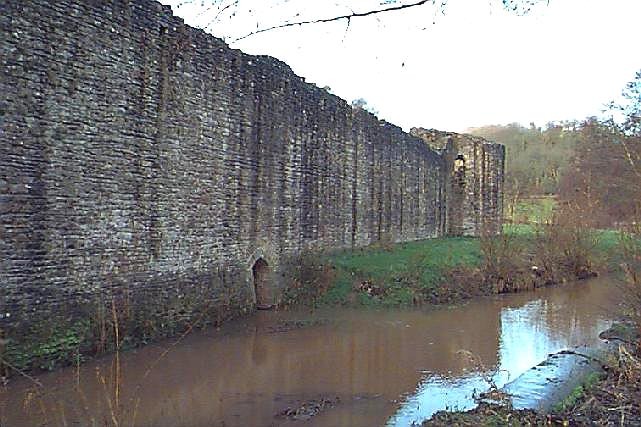 In 1193, Sheriff William Braose pushed the unfinished castle into rapid service by placing a palisade around the other three sides of the ditch. A prison was later built within the stockade. In 1239 the castle was seized by King Henry III, who in 1244 placed a lead roof on top of the king’s tower or central keep. This round tower in the middle of the castle was the last part of the fortress constructed by Hubert Burgh, and is not, as is often stated, built on the old castle motte. The recent excavations conclusively proved that this tower was built on top of the thirteenth century gravel used to infill the first castle of 1219. Another dating feature of this tower can be found in the collapsed stairway built into a buttress in its western wall. This is not a standard spiral stair, but a series of semi-circular stairways. 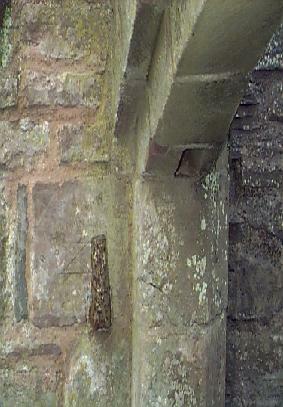 Although much damaged it can be seen to have been similar to the stairs that still exist in the gatehouse of White Castle. This work, with its unusual stairs, was also undertaken by Earl Hubert Burgh. It may have been King Henry’s eldest son, the Lord Edward, later Edward I (1272-1307), who when he owned the castle between 1254 and 1267, built the solid half round tower in the castle’s vulnerable west wall. The fortress was once surrounded by a twenty feet deep paved moat which fed a mill to the south. 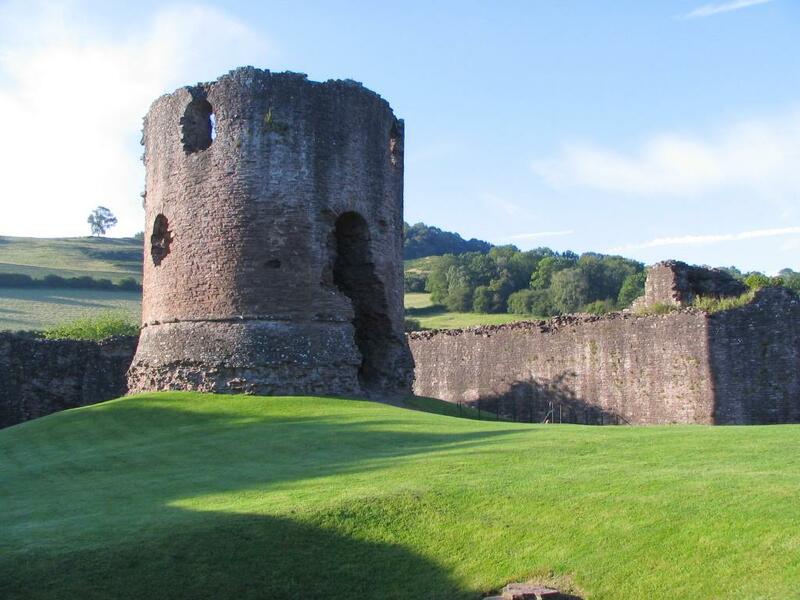 Today the castle stands mostly to wall walk height and is in much the same state as it was in 1538 when the antiquarian Leyland noted that Skenfrith Castle ‘yet standith’. 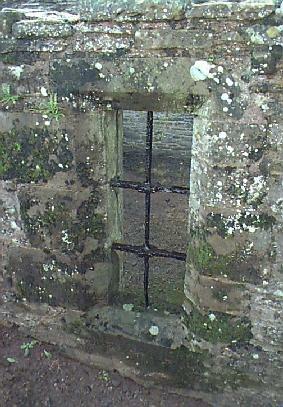 Below: view of the east wall of the castle with its normal batter and the central original ground level postern.